Headspace is a world class party band who has exhilarated crowds throughout Australia and around the world with their electrifying live shows.Their uncanny ability to sound just like the latest dance music anthems whilst having a vintage catalogue of motown, disco and nostalgia, has made them one of the most sort after shows in the country. Are you gunna be my girl? 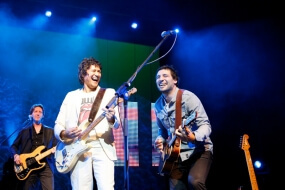 Headspace is a world class party band who has exhilarated crowds throughout Australia and around the world with their electrifying live shows. 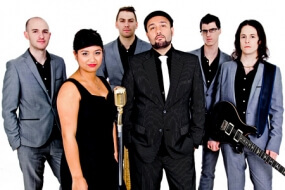 Their uncanny ability to sound just like the latest dance music anthems whilst having a vintage catalogue of 60’s motown, 70’s disco and 80’s nostalgia, has made them one of the most sort after shows in the country. The Band have been commissioned to perform at such high profile events as, The Australian Open Ball, McLaren GP Ball, Red Ball, Astoria Honda, McDonald House Ball, Toyota, A.W.U. Telstra, Pfizer, Hewlett Packard, Essendon F.C. B & F, Richmond F.C. B & F, Richo’s Testimonial, Master Builders of Australia Awards and many more. Also touring huge events as, White Haven Beach Party (Whitsundays) Ku De Ta 8th & 9th Birthday’s Seminyak (Bali) Karratha October Fest (W.A.) Audi Race Weeks 2003-2011 (Hamilton Island) and every year opening Mt Buller’s official snow season at The Kooroora Hotel. 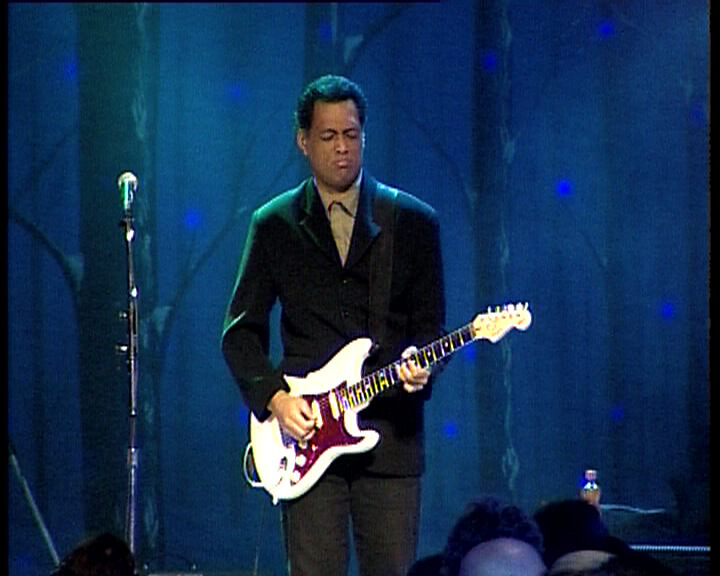 The members of the band have played with some of the biggest names in the Australian music industry. Tony Kopa their frontman, originally from 90’s band The Truth, has spent the last few years in the Jon Stevens band but in the past has sang with Cold Chisel, Terence Trent Darby and INXS. 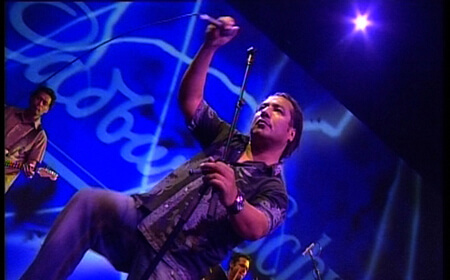 While soul sensations, The Wolfgramm sisters, performed with Aussie Rockers, JET, toured with Tom Jones on his recent national tour and featured in the two Countdown Spectaculars. 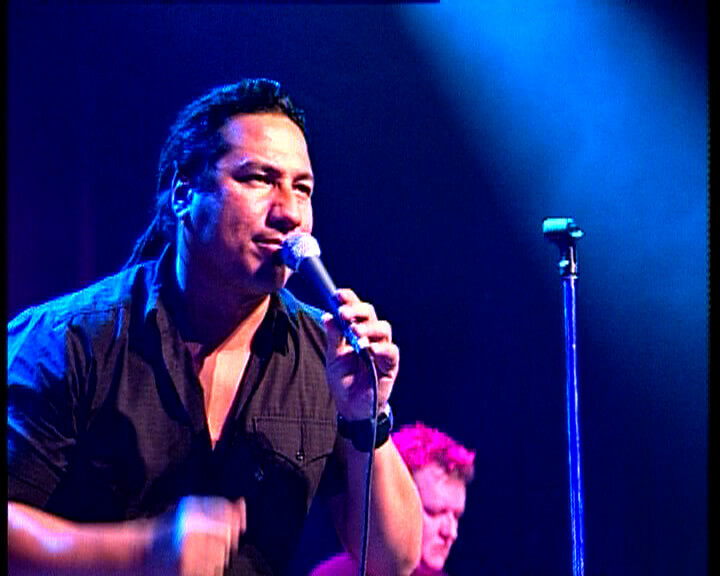 Kelly Wolfgramm has recently touring the world with INXS and was &#8232;the featured lead vocalist on “New Sensation” for their Australian shows. The very talented Head Space/Soul Train were great, and I still feel terrible about asking them to turn it down – the joys of banging about in drafty old convents! For all the extra bits and pieces you did to help make the night enjoyable, I thank you. I particularly loved the ambience the lighting created in the courtyard and Steve’s best efforts to get me to chill out. The band were fantastic. I have been to thirteen Channel 9 parties and Headspace were by far the best received band to date (including 3 years when I played at it!!!). They were tight, energetic, interactive, great song choice and sounded deluxe. I would like to take this opportunity to formally thank you for your entertainment recommendations for our recent 2009 Australian Wealth Management Planner Conference, held in Melbourne. The Essentials: They were exactly what we wanted for our Welcome Dinner @ Melbourne Aquarium and a couple of our delegates who consider themselves “jazz aficionados’” commented on how good they were. Dean Atkison: I wasn’t able to see his act, however delegates said he was quite good. Dave Grant: He really set the tone for our Gala Dinner. He was absolutely hilarious and all I heard from delegates was how good he was. He followed the brief and entertained the crowd without being rude or offending anyone. He even followed up after the conference with a “thank you for the business” phone call. A professional in my books. Maranucci Trio: They played nice background jazz during the main part of the sit down dinner and were well received. Headspace: They were great!! They had everyone up dancing and the dance floor was still pretty full at the end of our function with the crowd wanting more. Once again, many compliments were made about Headspace. All of your recommendations came through with flying colours. This demonstrates you understood me (as the client), my brief and obviously having great talent on your books. Once again, a sincere thank you to Instinct International for your services. Can you pass on our gratitude to Head Space members for putting on a great show Friday Night. They had the room rocking! Great stuff. All positive feedback from staff today.